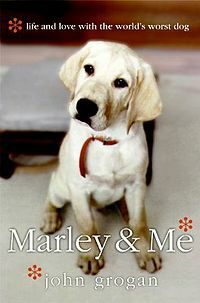 In this funny and poignant memoir about a wildly neurotic Labrador retriever named Marley, an unsuspecting young couple come to understand what really matters. Marley had no brakes on his loyalty, exuberance, or passion. Owen Wilson and Jennifer Anniston star in the 2008 film adaptation. Come to the library and enjoy refreshments and a chance to meet with fellow book lovers.